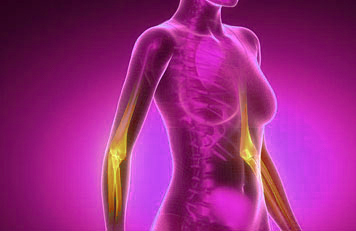 If you have a problem and want effective physiotherapy treatment, look no further. This is a treatment using tape to help provide support to vulnerable joints using the bodies proprioceptive feedback mechanisms. Proprioception is basically the ability to know where your body is in space. 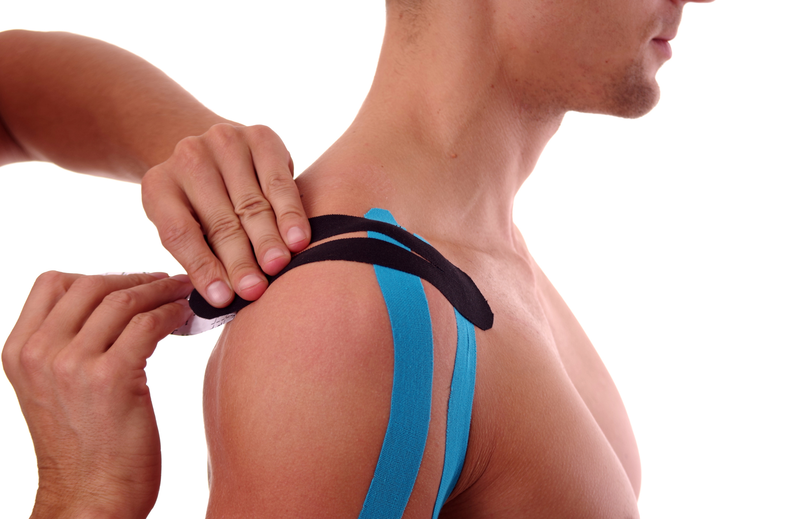 Through our clinical experience taping and strapping can be very helpful post injury and in aiding exercise therapy. 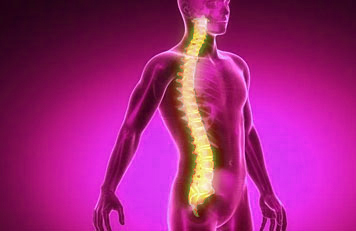 This is skilled passive movement of the clients joints and soft tissues. The therapist will assess the movement of the relevant joints in different ways to gain an appreciation of any restrictions, spasm or pain. Manual therapy has been shown to bring about widespread reduction of pain, improved blood flow, stimulation of core muscle recruitment and reduction of global muscle spasm through the stimulation of the brain and spinal cord. See education section if interested in reading further research. Exercise therapy is a prescription of relevant exercises which will be catered to your needs, this may involve gaining improved muscle recruitment, muscle endurance, muscle strength, or cardiovascular capacity. This can involve the gymnasium facilities or can be a home exercise programme, whatever is best for you. See education section if interested in reading further research. 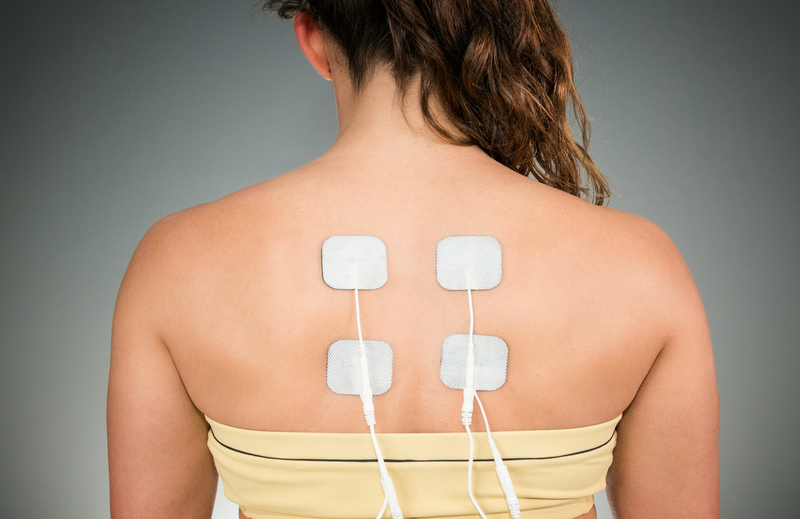 Electrotherapy has been an integral part of physiotherapy for a long time, its use has changed considerably. Modern electrotherapy used at the correct place, at the correct time and for the correct reason, has a great capacity to be effective in stimulating healing and reducing pain. There are very few occasions where an electrotherapy modality used in isolation is the most effective intervention. However, as a part of a package of care, there is strong and supportive evidence. Please read more info at a great website guided by Tim Watson. Acupuncture is used by respected AACP members and works by improving pain modulation through the stimulation of the brain and spinal cord, producing pain relieving chemicals. 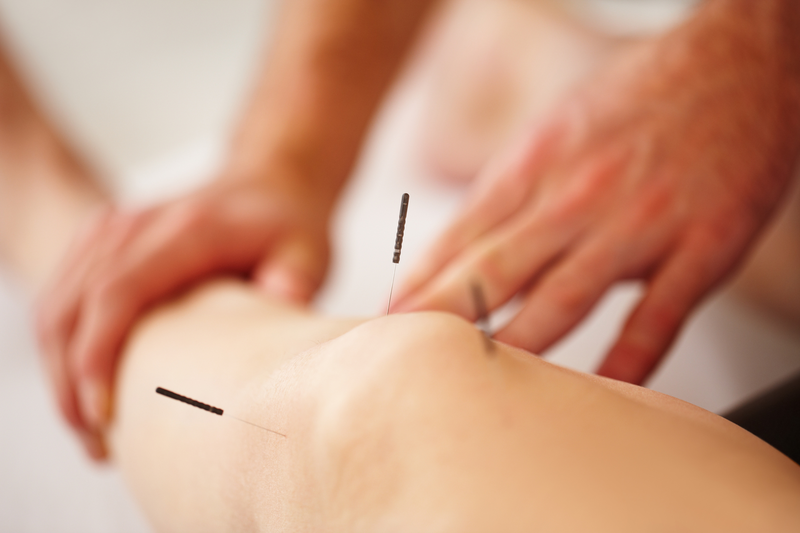 Acupuncture can also help some systemic and longer term illnesses. A blog regarding this coming soon. Hydrotherapy is a holistic body treatment that involves moving and exercising in water, basically physiotherapy in a pool. 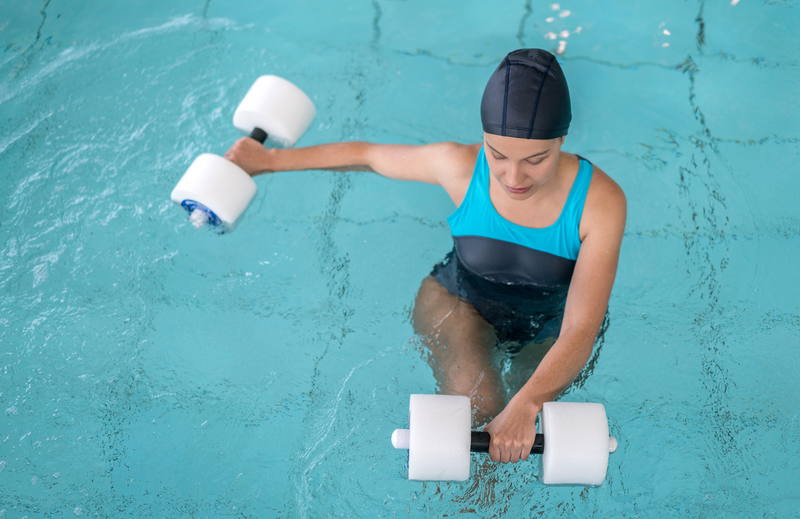 Hydrotherapy is where the temperature, pressure and movement of water is controlled and changed according what the client is needing to achieve. This can be a great adjunct to land physiotherapy and can also help to maintain their general health and fitness. 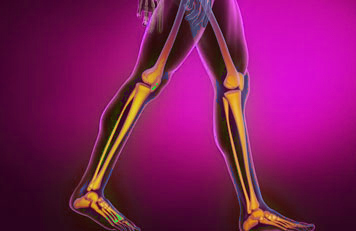 This is a form of treatment which can treat injured tissues. It can be a preventative treatment aiding muscle mobility, connective tissue mobility, joint range and improved posture. It can also just feel great to get loosened up !! Select a therapy from the list above to view more information. Regular treatments at The Physiotherapy Clinic are the best money I spend. Tracey immediately spotted things a dozen previous physios had missed for years and soon I hardly needed my walking stick any more. Likewise with my M.E. - Doctors couldn't help, and whilst I was skeptical of acupuncture at first, I can't argue with the results. There's no cure for M.E. yet, but Tracey's professional, empirical approach has kept me fit to work for over ten years. Thank you for the excellent treatment I have received since becoming a patient in your clinic. You quickly spotted the problem with my feet and recommended a course of action which I am very pleased to say has seen a major relief of discomfort in my feet and legs. Christine has provided me with a very successful series of treatments for a chronic back complaint plus the aftermath of a torn Achilles tendon. She communicates in a serious yet friendly manner giving first class advice. I cant recommend her highly enough. When it comes to physiotherapists there are plenty of choices that provide a good service , but Chrissy provides an excellent service. She has enabled my body to be fit and healthy to ensure I can play and compete my golf at international level. Chrissy has given my body the health and confidence to push and achieve my goals. Chrissy has been my physiotherapist for 5 years and always works with you to understand the required treatment for the injury but also links it to your state of mind and life choices. I walked into Chrissy's clinic, I say walked I mean limped, with crutches and a pillow. After just one session I walked out unaided, no crutches and feeling so much more confident. I'm not an average case but Chrissy worked with me tirelessly to improve my physical and emotional well being. She provides the highest professional care, you never feel like a number, her service is very personal. Her knowledge and bedside manner are second to none and I would never trust anyone else with my care. Had a massage from Christine while suffering back pain and sciatica pain while pregnant. She really did (and does) work wonders! I felt amazing afterwards!! Highly recommend as the best physiotherapist around. Chrissy is amazing best physio I've seen and I've seen a few, Chrissy helped me before and after surgery and when I went abroad she was messaging me seeing how my knee was and giving me tips and exercises to do! She's amazing and helped me loads.